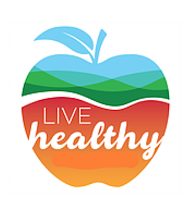 The Fairfax County Health Department has joined with its counterparts in Alexandria and in Arlington and Loudoun Counties to conduct a survey of public health issues affecting our neighborhoods. This Northern Virginia team wants to learn about what people think is important, and the survey results will help them in their work to make our communities healthier. Safety risks to people walking and biking are Public Health issues! So, this is a great—plus quick and easy—opportunity for cyclists to be heard. Please take three minutes to complete this brief survey. Please consider including “Preventable injuries (car or bicycle crashes, falls)” as an important health issue. Then include “A walk-able, bike-able community” as a top action that would improve quality of life in our region. Once you’ve done that, please share our message with your friends and ask them to take the survey.